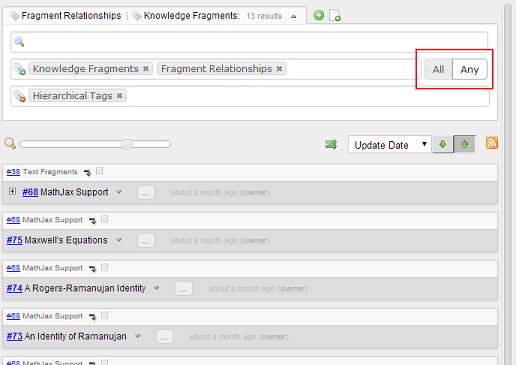 In the previous versions, searching by tags results in the fragments tagged with ‘all’ of the specified tags. From this version, you can switch between ‘all’ and ‘any’. ‘Any’ displays the fragments tagged with ‘any’ of the specified tags. 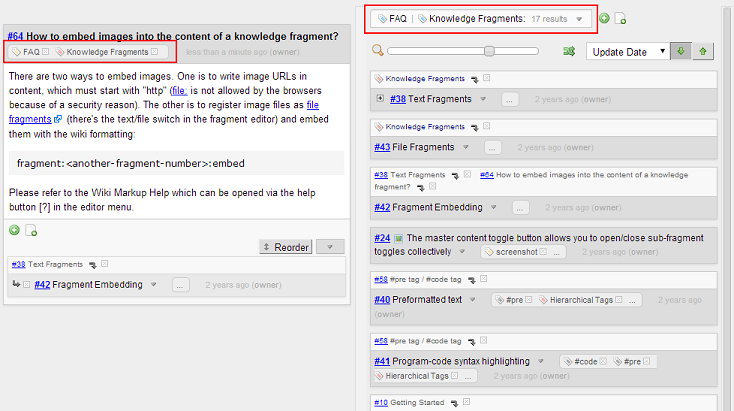 I just created a pull request (https://github.com/marubinotto/Piggydb/pull/14) that enables toggling of tools for a fragment and the fragment criteria (where the All/Any buttons from the post above appear). Thank you for your pull request! I’ll check it out later.